I love my Mac devices. One such device I own is a MacBook Pro. I recently installed the macOS Sierra on my MacBook Pro but it looks like it’s having problems. I don’t want my files to be removed so I want to reinstall macOS Sierra without losing data. What I want is a simple reinstall of the operating system. How do I do this? It's easy to reinstall Mac OS sierra without losing data. The following guide will answer you in detail. Is your Mac device not operating properly after a macOS Sierra installation? Or maybe, you are in the middle of the installation process and some kind of issue appeared. One of the best methods to fix these problems is to reinstall your macOS Sierra. Don’t fret about losing a lot of data though because of reinstall Mac OS Sierra. Reinstalling your macOS Sierra won’t do anything to your files, user settings, apps, and other data. What happens is a fresh copy of the said operating system will be installed within your Mac device again. But what if you want to clean up all your data? What if you want to factory reset your Mac for it to go back to its original settings? Well, what you should is to do a macOS Sierra clean install. The said type of installation process results in the removal of everything in your device. All documents and files will be removed. A reinstallation, on the other hand, will not delete the said files. If you know that you want to keep your data (as opposed to removing all of them), you should read this guide to learn how to do a reinstallation of the macOS Sierra. 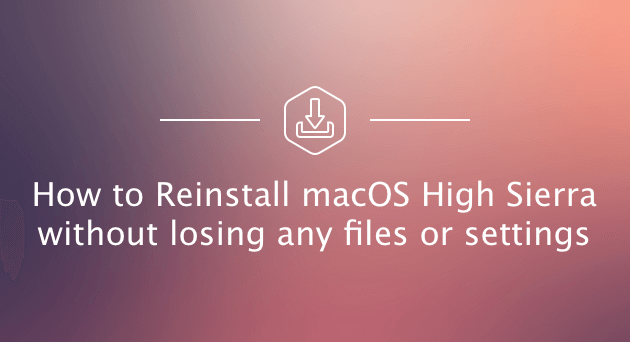 But before you do the entire process, you have to do a few things to prepare your device for the installation of macOS Sierra. Although reinstallation won’t delete your data, it’s still important to be sure of it. That’s why you have to back your data up. In case an issue appears, you can restore the backup and still have the files most important to you. One possible method you can use for a backup is to use the Time Machine of your macOS. This Time Machine enables your device to automatically create backups. Another way to do it is through iCloud and DropBox. You can also utilize external hard drives to back your data up. Another thing you might want to do before the reinstallation of the macOS Sierra is to clean your device of junk. You might also want to clean it of unwanted files like browser extensions and app leftovers. This might be a good thing to do since it results in a better installation of the operating system--no clutter will be around once you have the new macOS. So, how do you do it? Well, you can do it manually or you can do it with a tool. We recommend that you use a tool for the process to be completed quickly. And the software we would recommend is the iMyMac’s Mac Cleaner. 1 - One-Click Feature - This means you can simply do a complete scan of your Mac in just one click. 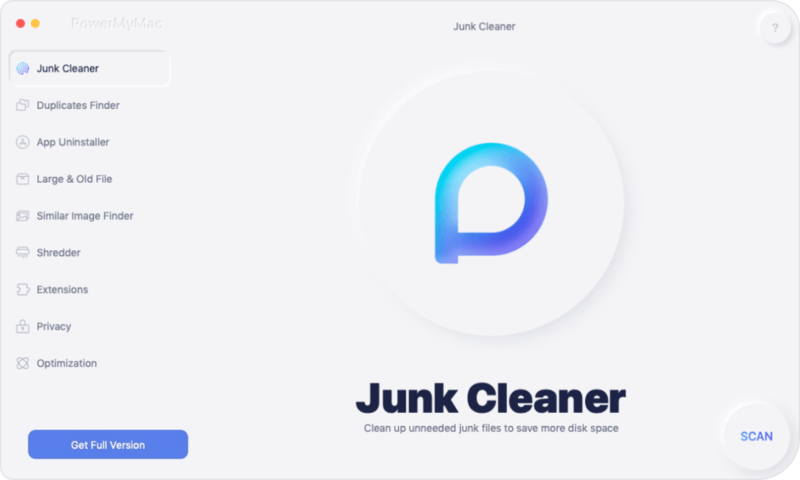 You can also clean your entire Mac device with a simple click. 2 - Powerful - The powerful features of iMyMac’s Mac Cleaner allows it to do a comprehensive scan of your entire Mac. Every status of your Mac can be checked including the Memory, CPU, Disk, and Battery state. 3 - Selective - It comprehensively scans your device and displays the results in a list. You can select the display method by a particular feature such as time and size, among others. You can preview each item and select the ones you want to delete if you want to. You are in control of everything. 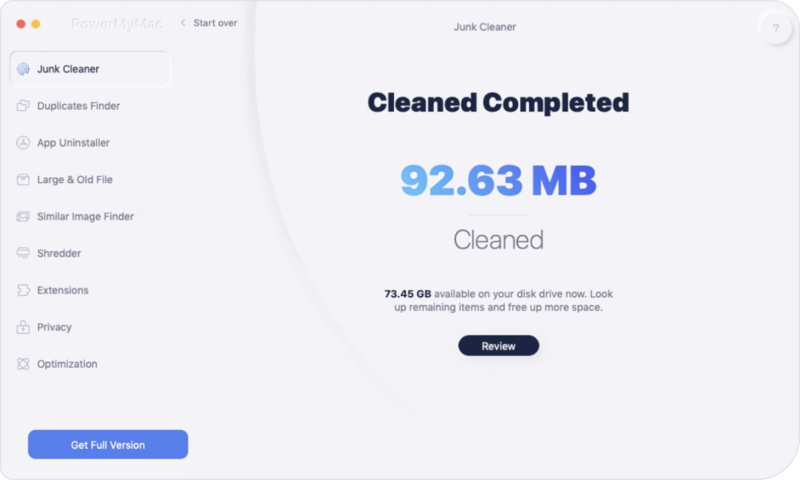 4 - Free Trial - You are free to try the Mac Cleaner for the first 500MB of data. You will be able to experience its features without shelling out money from your pocket. Step 1: Download and Launch iMyMac-Cleaner from its official website. Check out the left side of the screen. Select the module named “Junk Files.”Press the Scan button to start the scanning process. Wait for a moment until all junk files are displayed to you. 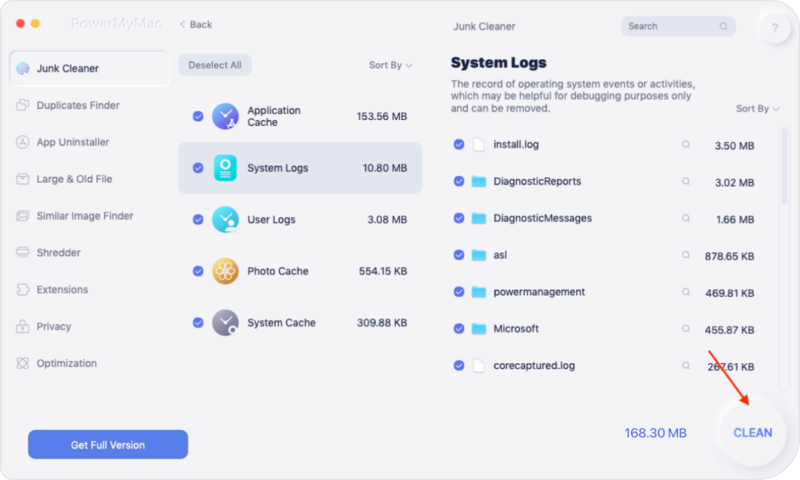 The Mac Cleaner will display the junk files in various categories such as Application Cache, Mail Junk, Photo Junks, System Logs, System Cache, etc. Now, after you have your backup and after you have removed unnecessary clutter, it’s high time to do the reinstallation. Step 1 - Back your Mac up before starting the process (just a reminder). Step 2 - Look at the top-left corner of the window and press the Apple icon. Step 3 - From the menu, you will see, select Restart. Step 4 - Then press the Command + R keys. 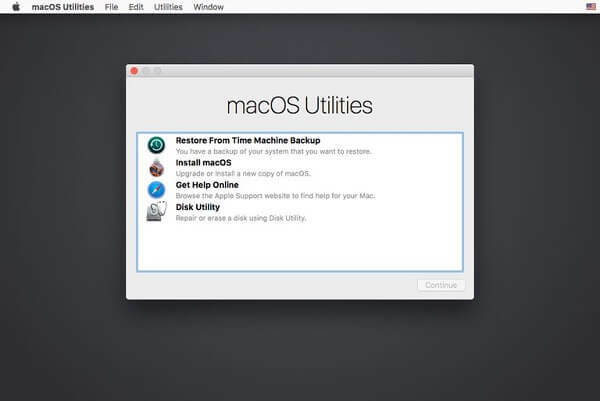 A macOS Utilities Window will be displayed. Step 5 - Select Reinstall macOS. Step 6 - Press Continue. Step 7 - Choose a specific hard drive. Usually, this is the Macintosh HD. Step 8 - Press Install. Step 9 - Wait for the entire process to be complete. That’s just about it. Easy. It’s like taking a candy from a baby. Having problems with the macOS Sierra? Or are there problems during the installation process? That’s okay. We’ve got you covered. You can reinstall the macOS Sierra to keep all your files and still have a fresh copy of the operating system. But before you do it, you should back up your files and clean your device using iMyMac’s Mac Cleaner. The tool is easy to use and it’ll definitely prep up your device for macOS Sierra’s reinstallation. 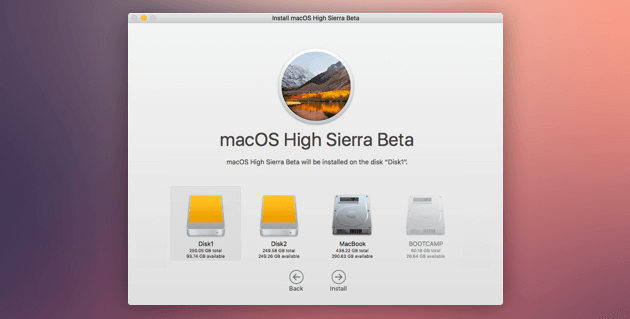 / Mac Cleaner / How to Reinstall Mac OS sierra without Losing Data?